16th at TPC Scottsdale the most exciting hole in Golf? 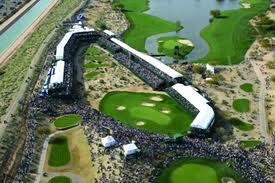 Everyone is watching the Waste Management Phoenix Open at TPC Scottsdale this week on the PGA Tour. Is the WM Phoenix Open the most exciting and fun event on the PGA Tour? Certainly there are more fans at this event, than at a normal PGA Tour event. Typically on a Thursday there are more fans in attendance in Scottsdale than most regular PGA Tour events on a Sunday. Now add in the most exciting hole in golf, and you have either the “biggest little hole” or a drunken frat fest time bomb just waiting to explode into a bar fight. So I ask again is the sixteen hole at the TPC in Scottsdale the best or worst thing to happen to golf? I personally love the idea of shaking things up in the golf world. 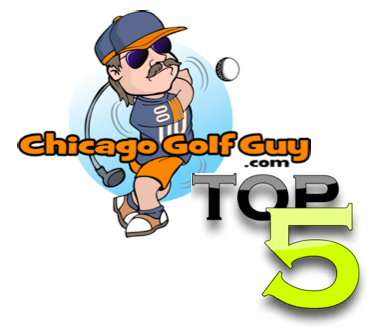 With the young guns like Ricke Fowler wearing neon bright colors, and Dustin Johnson and his southern California flat brimmed hats, even Tiger Woods wearing his sneaker golf shoes, the whole game of golf is changing. Golf is getting younge r and hipper. Kids in school now do not have to sneak in with their golf clubs, and they can tell the cheerleaders that they got a varsity letter in golf. Golf needs the young guys to step up and break the barriers of golf and golf on TV. Even though golf is reaching new markets, I still get looks from my friends when I say “sorry I’m late there was a playoff for the golf today”. Not only do I get looks, but my friends just cannot believe that I watch golf on television. I believe that if I could get my buddies to check out the Waste Management Phoenix Open and its collision of cheering, people might look at golf in a whole new light. Although I am a fan of change, I like slow change. None of us want the PGA Tour to turn into Bushwood Country Club during the second Caddyshack movie. I think the stadium seating, the drinking, the cheering, as well as the really great golf that is played on the 16th at the TPC Scottsdale is a huge push in the right direction for golf. Next Ping Stand Bags a Gift or a Curse?